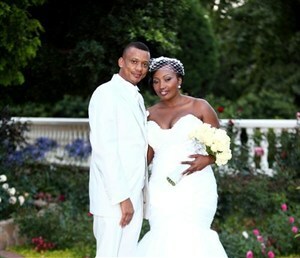 He shot to fame from relative obscurity when he “married” Generations actress Sophie Ndaba and then, just two months after they tied the knot in December 2011, the hurtful gossip began. The couple’s separation in June 2012 was heavily publicised and shockingly it was revealed that the couple’s union was never legal as it had not been registered. While Sophie (40) subsequently discussed the break-up in several media interviews, Keith remained steadfastly silent about what really happened. Now, in his first post-split interview, Keith shares his views on why the relationship failed. Generations star Sophie Ndaba confirmed to DRUM that she and Bishop Keith reconciled after she publicly announced that they’d separated for good in June 2012. “We tried to work things out. The reason I kept it a secret was because I wanted to try this without people knowing and interfering. I needed to see him for myself,” she explains. But Sophie says it wasn’t working out and that was even more obvious when Keith brought a woman he’d dated back in his past into their lives. “That woman kept on popping up in our lives and home and we had a big fight over it. I even called two pastors to talk about her,” Sophie says. Talking to DRUM from the Generations studios in Auckland Park, Sophie says the last straw was when Keith staged a drama outside the house they’d acquired after their reconciliation.